First AOL Travel hit up on the top amusement parks to visit. Now they're tapping the top Ferris Wheels. Among them is none other than Coney Island's very own Wonder Wheel. The landmarked Wonder Wheel is one of Coney's anchored structures that will stay a main fixture in whatever new Coney arises from the zoning battle underway in Coney Island. This weathered East Coast resort is Americanus nostalgicus at its most colorful and resilient. 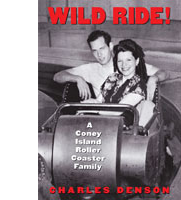 Deno's Wonder Wheel Park is a family-owned amusement area anchored by the historic 150-foot wheel. An official New York landmark since 1989, the Wonder Wheel is now celebrating its 85th birthday, and has been consistently operational the entire time. America Online Tavel also mentions the Sun Wheel at Disney's California Adventure Park in Anaheim California, stating that the smiling sun face at the wheel's center pays homage to the Coney Island Wonder Wheel. 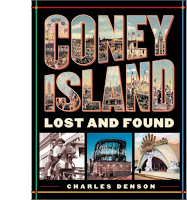 Unless there's something not very obvious there it would be difficult to see what exactly is the reference to Coney's Wonder Wheel or Coney for that matter. The smiling sun face is surely not Tillie the smiley face which is Coney's trademark. But what probably is the homage is the similar feature; The Sun Wheel like the Wonder Wheel has swinging gondolas. 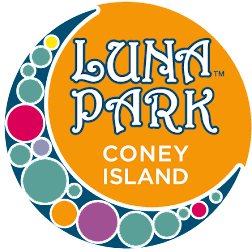 Disney and many other theme parks, in many ways, were inspired by Coney Island. Astroland Rides Come Off The Market...For Now!